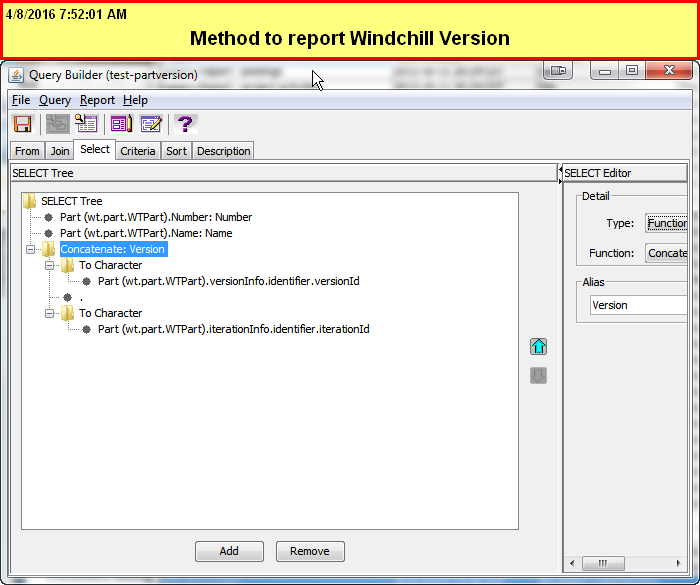 I want to report the version of the Windchill object in my report. 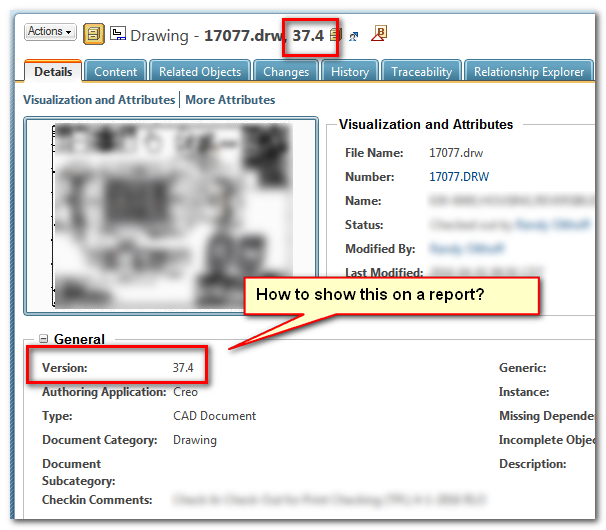 Specifically for WTParts and EPM Documents, but there doesn't seem to be an obvious way. Well if that isn't more work than it should be... Thanks Marco for pointing me in the right direction. We use MS SQL and the "To Character" function is needed. You might not need that for an Oracle driven system. have you tried to use concatenate function? I agree with you Marc, it should/could be easier.